Drinking that warm cup of coffee to get a jump on your day may not be all that bad for you-in fact, it may actually be the drink to impact your overall health. But just as with many of life’s guilty pleasures, the landscape keeps shifting on whether we should or should not drink our favorite cup of morning “Joe”. Now with the 2015 release of the Scientific Report of the Dietary Guidelines Advisory Committee, the era of coffee as a guilty pleasure may be over. As a matter of fact, the report implies that if you only drink one cup of coffee per day, you may want to consider drinking even more. Although past reports have blamed coffee for everything from heart disease, cancer and even risk of death, the Advisory Committee report concluded that in healthy individuals there were no health risks with moderate consumption of 3-5 cups daily or equal to 400mg of caffeine per day. Pregnant women, children and adolescents were advised to limit their caffeine. The conclusion that coffee provides health benefits has been supported in past research. Coffee has been associated with providing antioxidants, increasing your concentration, improving your reaction time and jump-starting short term memory. It’s also been shown to speed up metabolism and could be beneficial in training and exercise endurance. That may be great news for coffee drinkers, but before you change your coffee sipping ways, keep in mind that coffee consumption may not be for everyone especially, if you are sensitive to caffeine. And before anyone firmly establishes how many cups you should be drinking, you should be aware that it may depend on just how well you metabolize caffeine. 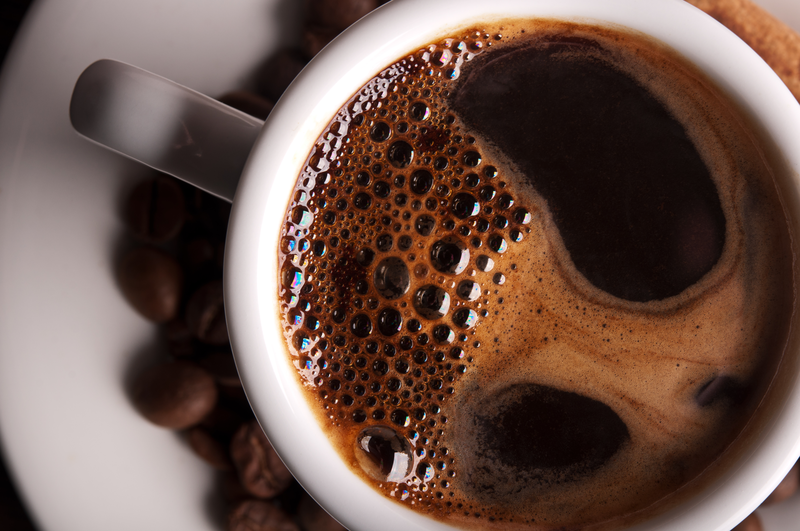 Two new genes have been identified that can affect your metabolism of caffeine. Meaning some people may only need just one cup of coffee to feel energized in the morning, while another person may need up to 4 cups to feel the same effects, depending on your genes. It may also mean that you may not be able to tolerate more than 1 cup of coffee per day, either. If you inherited a slow caffeine metabolizer gene, just one cup of coffee is all it could take to get your day going in the morning; however, it may also take you much longer to off-load caffeine’s jittery side effects and prevent you from sleeping well at night, too. But if you can tolerate coffee and you know your limits- go ahead and brew it! Turns out one of life’s guilty pleasures may not be so guilty after all. And remember, despite all the good news, even guilt-free pleasures should be enjoyed in moderation. Know your limit. Besides keeping your coffee consumption at or below the 3 cup range, be aware if coffee affects your nerves, stomach or the quality of your sleep. Adjust your cups accordingly. As a rule of thumb, no caffeine after 2-3pm. That includes soft drinks and energy drinks and caffeinated teas. Studies have shown that caffeine consumed within 6 hours of sleep can have important disruptive effects on sleep. Do switch to decaf or an herbal no-caffeine tea. Don’t combine coffee drinks with alcoholic beverages. Not even rum and Coke. It could be deadly. Caffeine is a stimulant and alcohol is a depressant, but mixed the two do not cancel one another out. And by the way? Caffeine does nothing to decrease your blood alcohol content. Skip the sugar and cream. For all the obvious reasons. Substitute with Stevia or agave, and unsweetened Soy or Almond milk, instead. Go ahead and add a little dark chocolate, too. The benefits of dark chocolate can outweigh the added calories or sugar if you keep it to a small amount. High quality dark chocolate can relax blood vessels, lower blood pressure, and improve insulin sensitivity. Dark chocolate is also a powerful antioxidant. ← Can a Professional Basketball Player Like Derrick Rose Fully Recover After a Meniscus Injury?